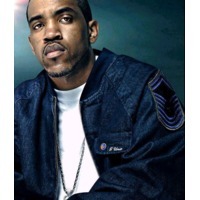 Christopher Charles Lloyd (born April 30, 1982), better known by his stage name Lloyd Banks, is an American rapper and member of the rap group G-Unit. Raised in South Jamaica, Queens, he dropped out of high school in 1998. G-Unit released two albums, Beg for Mercy in 2003 and T.O.S. (Terminate on Sight) in 2008. Banks released his first solo album The Hunger for More in 2004 with the top ten hit single "On Fire". He followed with Rotten Apple in 2006 and left Interscope Records 2009. In 2010 G-Unit signed with EMI to distribute Banks third studio album H.F.M. 2 (Hunger for More 2), which was released on November 22, 2010.